In order to machine precision parts, you need to first hold the workpiece securely, accurately and precisely. 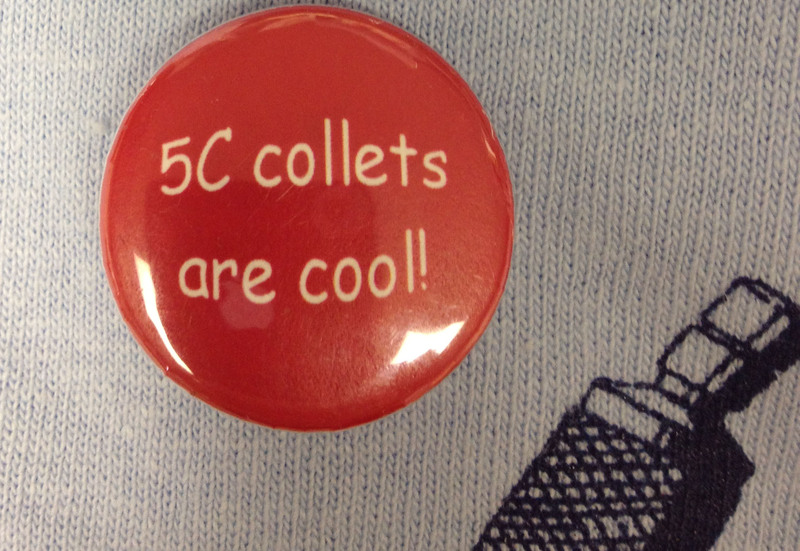 5C collets do just that. 5C collets are the result of 100 years of continuous improvement. Work can be held using methods other than collets- 3 and 4 jaw chucks come to mind, as well as vises- but for continuous high volume work with barstock, collets are ideal. Collets are easier (and faster!) to set up than chucks. Collets are more concentric. With chucks, tolerances stack up degrading concentricity. Collets more affordably provide higher precision. Collets more affordably provide higher accuracy. Collets provide high holding force. As the collet is pulled axially into the bushing, the tapered sides compress radially generating static friction (holding force). Collets are versatile- they can be made to hold over capacity stock; they can have steps built in; come in extra long sizes as well as have internal stops. Emergency collets are available that can be custom bored to your exact need. Hardinge invented the 5C collet back in 1901. 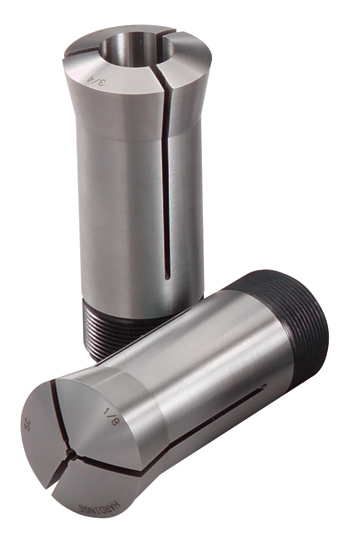 It became a preferred choice for precision workholding in lathes, mills and grinders. Exacting standards, special alloy steel, heat treatment and spring tempering combine to assure accuracy and durability at low cost. The 5C collet became an industry standard. 5C collets range from 0.5 mm (thats 0.0196″ ) capacity to 1-1/16″ round; 5C collets hold up to 3/4″ square and and 29/32″ hex. PMPA member Somma Tool sells 5C collets from Hardinge. Thanks to Matt at Somma and Tom at Hardinge for teaching this ‘steel guy’ 7 reasons why 5C collets are cool. This entry was posted on Wednesday, February 15th, 2012 at 3:36 am and is filed under Engineering, Shop Floor. You can follow any responses to this entry through the RSS 2.0 feed. You can leave a response, or trackback from your own site.